Excellent opportunity for those who strive to rent a convenient residence at a reasonable & affordable price in Mezher. The residential area is highly demanded, the location is easily accessible and the building of good standard. 156 sqm of living space with well-arranged spaces throughout. 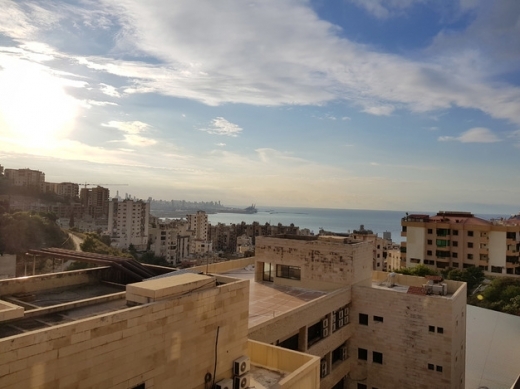 Shows nice city & sea views and consists of an entrance hall, 3 regular bedrooms, 2 bathrooms, salon, dining room, kitchen, balconies and storage room. Equipped with Central Air Conditioning and wooden cabinets. Asking price: $ 690/Month + 1 month commission fees from the first year only.